It's another one of those lists! We've put together a list of 53 ways you can save on your next trip to Walt Disney World across five areas: hotel stay, park tickets, flights, food and drink, and other. This isn't just about doing Disney "cheap" (if there is such a thing), though. We've got Disney travelers of all styles in mind. Even Disney pros should be able to find some new way to save in this list of 53 (Seriously, how many of you are using #3?). If you're relatively new to Disney, then you should find lots of ways to save in these 53 items. Scroll down to keep reading, or subscribe to get the PDF guide! Did we miss anything? Sound off in the comments below! Save on that trip to Stormalong Bay! Your hotel stay, from how many days, to which hotel, to how you book, is one of the best places to start saving on your Disney vacation. Everyone talks about how much this is the biggest Disney travel hack no one talks about, and yet it remains the best Disney travel hack that no one talks about. 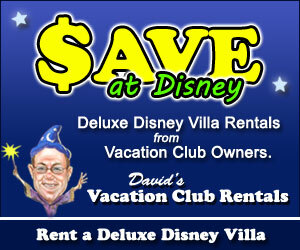 Renting Disney Vacation Club points is a way to stay at deluxe villas for a significantly reduced price. We recommend heading over to David's Vacation Club Rentals to learn more about (and book using) this strategy. We booked our stay at Disney's Aulani through David's and loved it. Yes, you can book your Disney World hotel with points. It is easier than ever to take advantage of generous credit card signup bonuses to save huge amounts on your hotel stays. If you haven't given this option serious thought, you need to. Citi Prestige 4th Night Free is our single favorite credit card benefit. The perk saves you 25% on the first four nights of any hotel stay booked through Citi. If you split an eight night stay over different hotels (easily done at Walt Disney World), you can get two nights free. We posted about how we saved over $2000 on a trip using the Citi Prestige, and 4th Night Free was a big part of it. Sometimes the Disney website will be the best place to book your stay, but sometimes you'll find better prices at other sites. In a recent newsletter, we showed an example booking where the price on Undercover Tourist was lower than the price through Disney even when Disney was offering a discount! Some of our other favorite hotel sites include: Hotels.com, Expedia, and Booking.com. We've also got a guide to getting the best rate on your Disney hotel. If you book a Disney hotel, just be sure to visit the Disney website and confirm your reservation by linking the hotel confirmation number with your account. Even if Disney has the lowest rate, you can probably shave the price down by using discount Disney gift cards. The value resorts at Disney World can make for an amazing time. We particularly enjoyed our time at Pop Century. If you're going to spend most of your time in the parks or otherwise off your resort property, there's no reason to ignore the value resorts. You can save even more by camping at Fort Wilderness. Generally, we’re pretty negative on Club Level at Walt Disney World, but we wanted to at least highlight the option. If you're the type who is going to spend on deluxe anyways, you may want to consider adding Club Level to your stay. Club Level will get you access to free appetizers in the lounge and free beverages. Check out our review of Club Level at Animal Kingdom Lodge. If you're really into your hotel room but don't want to spring for a deluxe resort, there is a great option in between - the suites at Art of Animation. These are amazingly themed suites that go for far more than your standard value room but less than many deluxe rooms. They also come with microwaves, which can help you save on food costs. AllEars.net has a great video overview of the Lion King Suite. You can book these at great rates over at Undercover Tourist. Disney World typically has anywhere from one to five different deals posted that will allow you to save on your hotel. The best place to check will always be the Walt Disney World offers page itself. These discounts can be as high as 30% for some rooms. MouseSavers has a great page of historical information on Disney deals! As Ashley S. Cooke finds out over at the DIS, sometimes you just have to ask (and it helps if you're celebrating something, anything) for a free or reduced-cost upgrade. If you're not comfortable asking for free things, then mention your celebration and ask how much an upgrade would cost. Obviously you'll want to be your most charming self when you try for this, so if you've had a long day of traveling, take a moment to compose yourself. Larger parties especially might find significant enough savings at off-site hotels or Airbnb. You can get a $40 Airbnb credit when you sign up with our referral link! The larger your group, the more options you'll have to split them up, so take advantage of that. The smallest rooms as Disney fit two people and a child under 3 in a crib. The largest rooms fit TWELVE and a child under 3 in a crib. Compare different options (and different resorts) to figure out the best way to group your party. WDW Prep School has a great overview of options for larger families. Make sure to plan how many people you'll fit in each room! Here's a quick example. Three couples are heading to Walt Disney World for a trip in August, and they'd like to stay at Beach Club. They could get squeeze into two standard rooms for $830 each night, be comfortable in three standard rooms for $1245 each night, or be almost as comfortable in a two-bedroom villa for $890 each night. Renting that same villa stay from David's Vacation Club Rentals would cost about $670 per night. You can generally re-book your Disney reservation at a lower price if a discount pops up after you've booked. We suggest checking on your travel dates monthly (if not weekly) after you've booked. If a discounted rate appears, call Disney and ask to re-book at the lower rate. WDW Prep School has a good overview for modifying your Disney World reservation! Unquestionably, Disney World tickets are the hardest part of your trip to save on. Even so, we've come up with 12 ways you can save either by finding discounts or through effective time management on your trip. Undercover Tourist is an authorized seller of discount Disney World tickets and our recommended place to buy your Disney World tickets. You'll not only see standard deals off Disney World tickets, but you'll occasionally see great offers like an extra day of park hopping for free! Disney is getting more creative with luring people in, which often means more discount opportunities. For example, they had a 4-Day Magic Ticket that allowed you four days with one admission to each park. Keep in mind, though, that these types of tickets will limit (or eliminate) the savings you can get from park hopping or cutting out a park day in the middle of your trip. Check the Disney site for the latest ticket offerings. Especially if you're going to get park hopper, consider cutting a day off your ticket. If you're hopping effectively, you definitely don't need as many days as you otherwise would. Even doing four parks in three days is pretty easy. Anything more than three days and you'll be golden. There is plenty to do at Disney World that doesn't require setting foot in a park. We've got a guide to planning a Walt Disney World resort day! Disney World's annual pass is an attractive option if you're planning multiple multi-day trips in a year. It's also attractive on a single, longer trip if you can take advantage of all the discounts it offers (especially room discounts). Definitely do a price check and review the perks of the annual pass if you've got multiple trips in a 365-day period or if you've got one trip of seven or more nights. We were surprised last year when we put our Disney World tickets (purchased through Undercover Tourist) on our new Chase Sapphire Reserve, only to see my annual $300 travel credit immediately post! Not all travel credits can be used toward Undercover Tourist expenses, but apparently Chase's can. Multi-day tickets are valid for one theme park per day for each day of the ticket. The first use must be on or before December 31, 2018. Also, if you buy from Undercover Tourist, as we suggest, you'll get a 365-day refund policy on physical tickets (not e-tickets!!). AllEars.net has a good overview of the rising cost of tickets. Disney has a variety of special offers for tickets that aren't available to the general public. You might qualify for discount Disney World tickets and not even know it! Part of saving on tickets is saving time, be sure you've put together a solid Fastpass+ strategy. You'll really want to take some time before your trip to learn everything you can about Fastpass+. The last thing you need is to miss a must-do ride, have to come back the next day because you promised the kids you'd do it, and now your schedule is all messed up. We love park hopped, but Walt Disney World can definitely be done without it. Park hopper can be a pricey add-on, and especially with kids, it can be a waste of energy to try and fit in even two parks in a given day. For a four day trip for a family of four (two adults, two kids under ten), the park hopper addition will run you over $250! You can learn more about park hopping over at Undercover Tourist. Multi-day tickets to Disney World don't have to be used on consecutive days, they just have to be used in a 14-day period. This means that if you're planning Day 1 at Magic Kingdom, Day 2 at Universal Studios (not a Disney Park), and Day 3 at Animal Kingdom, you buy a two-day ticket, which will be cheaper than two one-day tickets. Touring Plans breaks down the cost of admission thoroughly. If you take one trip every year or even one every two years, consider cutting down your frequency and taking longer trips. Because adding additional days to tickets is cheaper on longer stays, families can save a lot doing this. What's more, longer trips will leave you time to enjoy some things you might skip on a shorter trip, like restaurants and resort days. Again, Touring Plans breaks down the cost of admission thoroughly. Don't go too out of your way to save. Specifically, avoid sites like eBay and Craigslist. The better the deal you get on those sites, the more likely you're getting ripped off. With all the other ways to save, it's just not worth the risk! Like hotels, the savings you get on flights are often going to be related to the energy you put into the search. If you just go to the American Airlines website and pick the flights that look best, you're not going to save at all. If you know how to search, pick, plan, and pack, you'll find there's room for lots of savings. The Chase Sapphire Preferred has a signup bonus of 50,000 points, good toward $625 in travel. Other airline cards routinely have bonuses of 50,000 points. There are plenty of ways to get enough points or miles to significantly dent your flight costs. We've even got you covered with a post on when to use points for domestic flights. People shy away from low-cost airlines for a variety of reasons, the most common two being that (1) they just aren't their "regular" airlines or (2) they don't want to fall prey to assorted fees and charges. These are both valid concerns (the latter, especially), but if you take the time to learn how to fly low-cost, you can save a lot of money. Learn the rules, weigh your options, and sometimes, if the savings are right, you'll settle on an unpopular option! Cut down your baggage fees! Besides just "packing light", learning to pack efficiently (we're fans of the KonMari method of folding) is also important. Moreover, if you have kids, equip them with full-size personal items or carry-ons. They don't have to actually carry them (or get them the maximum size they can carry). We've got a post with 8 tips for packing to avoid baggage fees! Chances are you're going to be between airport security and your Disney resort for at least one, if not two, meals. Buy food (or pack it) and drink (don't pack it, per TSA regulations) after security at the airport rather than buying it at the airport, on the plane, or at the Disney resort. Depending on how you travel, you might not even have it in you to enjoy a dinner the first night you arrive. Business Travel Life has a great list of 30 healthy travel snacks. One mistake that is really easy to make is to book flights without thinking about how you're going to get to the airport. If you always drive or you always taxi because those are always the best options, that's fine. But in Chicago, to get to our two airports we can take the train, drive, take a taxi, Uber, or stay with family near the airport and get a ride with them. We're not going to take the train at 11PM, so a cheaper flight that arrives then can wind up costing us more after the cost of a cab or Uber. Speaking of Uber, see if your airport allows it and how the prices compare to taxis, then use our referral link / code to get $5 off your first four rides! Two of our favorite sites for booking flights are Momondo and SkyScanner. These typically produces the lowest fares. If you want a cleaner search interface before booking, head over to Google Flights. We use Secret Flying, the Flight Deal, Airfare Watchdog, and All the Flight Deals to catch discount rates. The best way to stay on top of these is to follow them on Twitter or to set up custom alerts. Remember, most airlines have a 24-hour cancellation policy where you'll see a complete refund if you cancel within 24 hours of booking (always check, first!!). It's often better to book these deal flights when they pop up and take those 24 hours to reconsider (just don't book during work and then forget to talk to your partner when you get home). By the way, we've got a guide to always booking the cheapest flight. It's going to be more expensive to visit Disney World during Spring Break or Christmas than Summer or February. It's usually cheaper to fly on Tuesday, Wednesday, and Thursday. Flights in the middle of the day are often cheaper than those at the start or end of the day. But the very earliest flights are an exception to this, as everyone loves a bit of extra sleep. Arrive at first park at 1PM. That's five hours of travel, with two hours from Magical Express to a park, and we're quick travelers who don't have children to corral. Keep a realistic estimate of your travel time in mind when booking your trip. Don't book a 10AM flight that arrives at 2PM eastern and plan to get a full day at a park. Cut a day off your park ticket, or consider an earlier flight, maybe even fly really early the next day if the rates are better. We once used Citi Prestige 4th Night Free to change our schedule and get cheaper flights! If you're going to be paying for parking at the airport, consider seeing if hotels around the airport do "Park, Sleep, Fly." The idea here is that you pay for a night at the hotel the night before your flight, get free (or reduced) parking the duration of your trip, and get a shuttle to and from the airport. If you're staying at a Disney hotel, you'll get free transportation from Orlando International Airport to your Disney Resort via Disney’s Magical Express. You have to let them know you'll be using it ahead of time, but it's usually easy to book either when you book your stay or by calling Disney afterwards. If your itinerary allows for it, you'll even get special luggage tags so that you'll check your bags at your home airport and they'll arrive in your Disney room sometime after check-in. Bonus hack for those reading the captions: pick the Magical Express line with the fewest families, not necessarily fewest people. If your family is large enough and the drive is short enough, driving may be the most cost-effective way to get to Walt Disney World. You'll have free self-park at your Disney Resort and free standard parking at the parks if you stay at a Disney resort (though you'll probably favor the resort transportation options). Dad's Guide to WDW has a good overview of having a car at Disney World. Food and drink is one of the more flexible areas of Disney spending (unless you let Disney lock you into a dining plan). A lot of factors determine how much you'll spend on food, from what discounts you have access to, to which restaurants you have to eat at, to what type of room you book. Here's how to save on food and drink at Walt Disney World. The Disney Rewards Chase Visa credit card has a 10% dining discount perk at certain Disney restaurants (including some great ones like Jiko, Biergarten, and Narcoossee's). The full listing can be found at Chase's site here. There are lots of Disney restaurants to try. Some of them (Biergarten, Be Our Guest, and the Sci-Fi Diner are three that come to mind) are really more about the experience and the scenery than the food. If you want to experience those restaurants, try and get a reservation (or just stop in) for a meal other than dinner. Dinner will be more expensive than the other meals, but you wont be blown away by the food. Disney Tourist Blog has a list of the best themed Disney World restaurants. Be Our Guest is beautiful, but you don't need to pay for dinner to enjoy it. The biggest mistake you can make with the Disney dining plan is getting it as a matter of convenience. First, having stood behind hundreds of people trying to use the plan in line, I can tell you it isn't that convenience. But more importantly, if you aren't putting the time and effort into getting every cent out of the dining plan, Disney is making money off you. So if you care about saving on food and you're willing to sacrifice flexibility to do so, check out WDW Prep School's guide to the Walt Disney World dining plan. If you have to have a dining plan, or you're willing to stick to a dining plan when you can get it for free, keep your eyes open for a Disney World package that comes with a free dining plan. These packages are usually offered in the late summer or fall. Check out MouseSavers for the historical deals. This one is pretty obvious on hot days when they're lining the cups up, but you can go to any Disney quick service location and get a free cup of ice water. Don't pay for bottled water. Disney by Age notes that if you're getting cocktails at Disney, the double is always better bang for your buck. If you're more into beer, like us, then get your beer to go. You can bring it pretty much anywhere (except on buses, in pools, or in photos with characters, notably). Save yourself having to finish off one beer right before your meal just to have to order another. Not for everyone, but the refillable resort mug is a good option if you'll definitely be having one or two beverages at your resort daily. You can find more on the mugs over at Disney Food Blog. All rooms at Disney resorts have mini-(or full-size) fridges. These are great for storing leftovers! Most rooms won't have microwaves, but you can use the resort microwave (usually located in the store or at the quick service restaurant) or only keep cold food (salads and dessert, for example). Alternatively, look into a studio villa or a suite at the Art of Animation for rooms that are reasonably priced and have microwaves. How you manage your groceries will depend on the type of room you have, but there are options for getting groceries at Disney World. Remember that you don't have to cook a five-course dinner to save money. Just having the groceries to throw together quick lunches can result in big savings over paying for meals at the parks. Disney Tourist Blog has you covered with options for getting groceries at Walt Disney World. Tables in Wonderland is an awesome restaurant discount program for Florida Residents, Disney Vacation Club members, and Walt Disney World Passholders. Those limitations, and the up-front cost ($150 DVC and AP, $175 Florida Residents) take away some of the magic from the program, but the 20% discount on meals, including alcohol, at a long list of restaurants can make this program more than worth its cost. This works better at some places than others. Pecos Bill's, for example, gives you decent portions and access to an awesome condiment bar. Two adults can easily split an order of fajitas by taking advantage of that condiment bar. Check out Couponing to Disney for more tips on splitting meals. Savings can be found in other nooks and crannies of Disney planning and the Disney experience. Here's 6 final ways to save on your trip! The Disney Rewards Chase Visa credit card gets you 15% off most park tours, like the amazing Keys to the Kingdom tour and Backstage Tales tour. You'll also have access to other discounts, including on merchandise. The full listing can be found at Chase's site here. Disney's Photopass photographers will take photos using your own camera if you ask. You won't get any of the magical effects, and their cameras are probably a little better than yours, but you're still getting professional shots at the more desired angles in the parks, and you'll save over $150 by skipping Memory Maker (note you will be missing out on ride photos this way). You shouldn't buy tickets with them, and you probably shouldn't book hotels with them, but discount Disney gift cards can be a good way to save on your dining, merchandise, and other miscellaneous spending at Walt Disney World. Head over to Traveling Mom and work backwards from that amazing list. Obviously how much you can pack will depend on how your family is allocating your baggage, but on recent Disney trips we've had to purchase ponchos, Ibuprofen twice, and dramamine. Nothing in Disney World is cheap, and the longer you'll be there, the more likely you'll need some things you might consider non-essential. We don't have kids, but one of the favorite tips I heard a while back was to bring little Disney things a kid might want, rather than buying them at the park. Think discount Mickey or Minnie ears, glow in the dark toys for night time at the park, simple Disney toys, and a new t-shirt or two. Give these to your kids as a part of the "Disney experience" without having to actually buy them at Disney prices. Mouse For Less covers this as part of saving on Disney at the dollar store! Our mission is to help our readers get awesome experiences at Disney World using points, miles, deals, discounts, and hacks! The list of ways to save on your trip to Disney World doesn't stop at 53. It changes daily as new deals are announced, new credit cards debut, and the brilliant Disney community comes up with new tricks. Follow us on Twitter and Pinterest or bookmark our site for the latest in Disney travel hacking. Even with 53, we probably missed a few. Sound off in the comments with your favorite Disney saving tips!